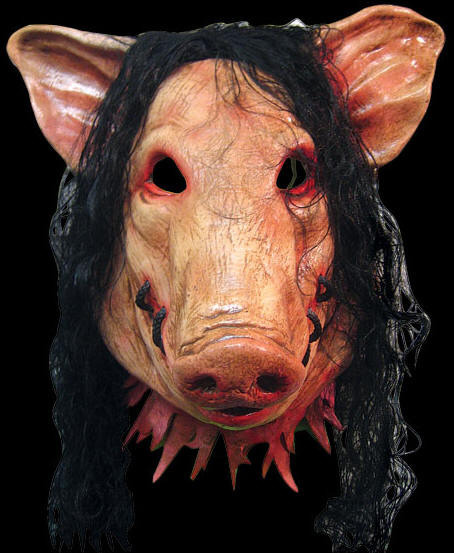 We will send an email to as soon as the product Saw pig horror mask Deluxe version is available. The frightening skinned pig mask from the hit movie Saw was something to be remembered. Here it is as an over the head deluxe mask. Be sure to check out the Puppet mask also from the Saw movie series. This is an officially licensed Saw™ product.